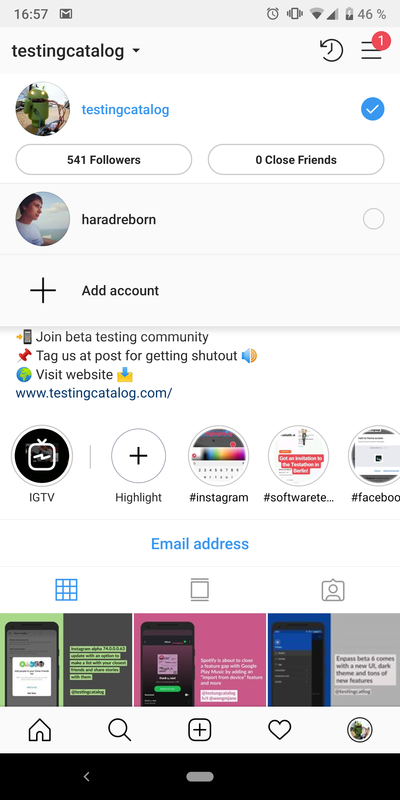 Instagram has a new alpha update on the Play Store with version number 74.0.0.0.63 that has been released on November 30, 2018. Below is the changelog for it. Accessibility Improvements: We are automatically adding alternative text to photos on Feed, Explore and Profile so people can hear what's in the photo. We're also letting you add custom alternative text to these photos. 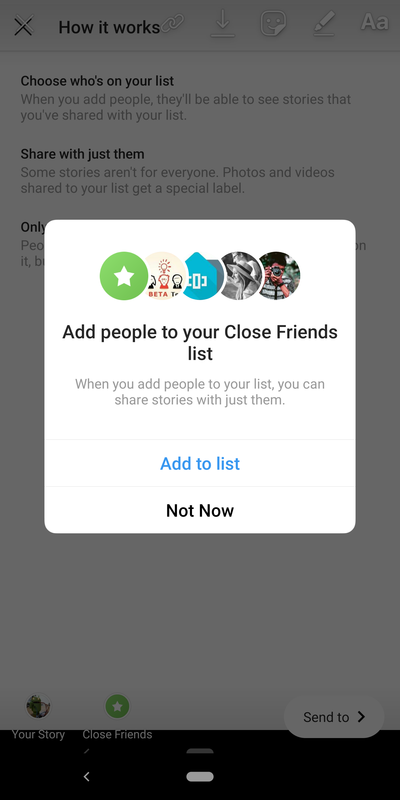 You can now make a list with all of your closest friends who have an Instagram account, and easily share Stories only with them by just a tap. The good part of it is that others will not be able to see who is on it, but your friends will know at least if they are individually a part of it. 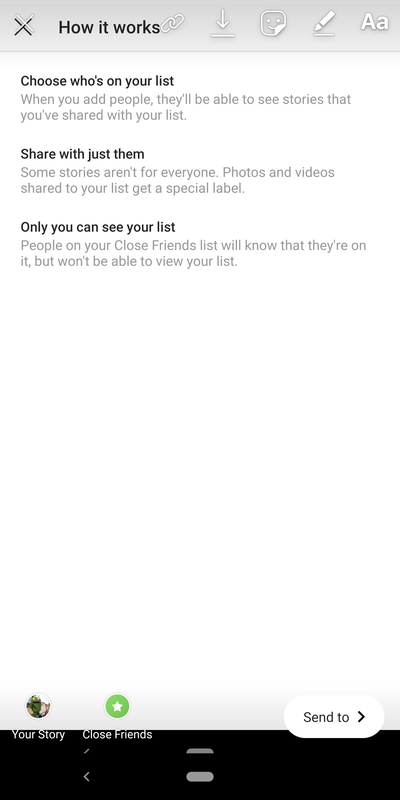 To add a friend to this particular type of a list, go to your profile section, open the side menu by tapping on the menu button at the top right and select the 'Close friends' entry. From there you can manage it, add some of the suggested people, or remove some, and more. 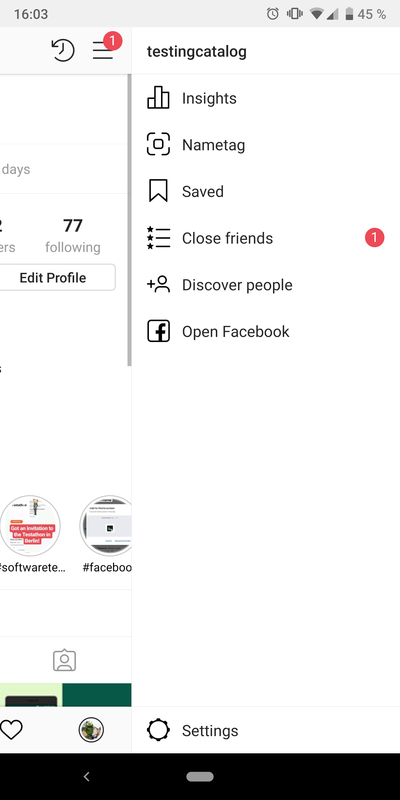 Instagram is adding alternative text support for photos to better describe what is on them and help more people with disabilities like vision impairment, or blindness and are forced to use a screen reading service such as Talkback from Google. Users can add custom alternative text to their photos too, which is something pretty much unheard of. 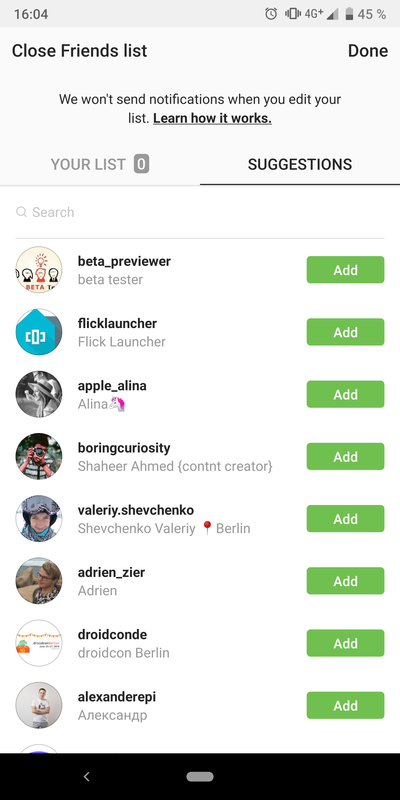 If you are not a part of the alpha program, or you cannot use the Google Play Store for some reason, you can instead sideload the APK file for this Instagram update onto your Android device by downloading it from APKMirror.